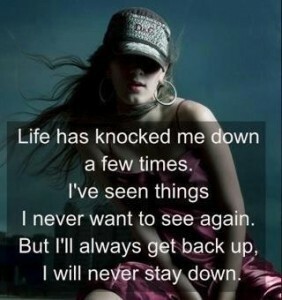 Life knocks us all down but we fight and get back up! Life will knock us down but we get back up! That one thing I always do is get back up!